Usenet.net is one of the oldest Usenet Providers which was started in 2004. The company is known for its reliable services. Usenet.net offer unlimited downloads and SSL connections for better online security. Usenet.net offer 2357 days of retention period which is better but when we compared it to our best Usenet providers, this retention period seems low as our best Usenet providers offer 3000+ days of the retention period. 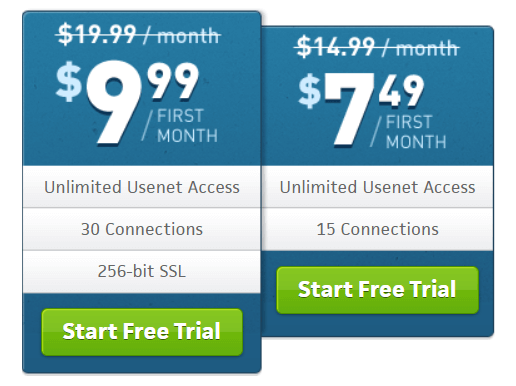 Usenet.net offer two subscription plans to its users. The basic package comes with unlimited Usenet Access and unlimited downloads. The package also includes 15 concurrent connections. The basic package is available for 14.99 USD per month. On your first month, you will get 50% discount and it will cost you 7.49 USD. Premium package comes with Unlimited Usenet Access and Unlimited downloads. The package also features 256-bit SSL connection for better online security with 30 concurrent connections. This package will cost you 9.99 USD for the first month and after the first month, it will cost you 19.99 USD per month. 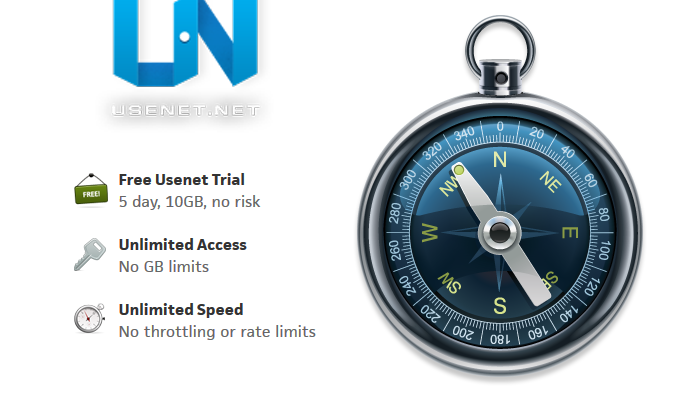 Usenet.net offer plans with No Speed limits and no download limits however when we tested it connections speed was not up to the mark, as everyone who uses this service get the unlimited speed and if we count the load on the server then we can understand the reason behind the average speed, especially in the peak hours. The company only offer limited payment options. The company offers 5 days of trial period with 10 GB download limit. The company require you to submit your credit card information when signing up, the company will; charge you with the package at the end of your trial period. The company doesn’t offer its own Newsreader, however, company support some 3rd Party Newsreaders. Usenet.net doesn’t offer free VPN service to its users. Usenet.net offer 2357 days of binary retention period while text retention period is 5110 days. Text retention period is good which is very common among other top Usenet providers but the main thing is Binary retention period, Usenet.net’s binary retention period is good when compare it to entry-level Usenet providers but it is low when we compare it to our Best Usenet providers. The company claims 99%+ retention period however in our tests completion rate was around 95%. Usenet.net offers up to 30 concurrent connections to its users. The basic package comes with 15 concurrent connections which are decent for any moderate Usenet User. The connection speed is also decent and you will not have any problem with it in daily use except in peak hours where you will experience the minor decrease in speed. Usenet.net claim 24 hours customer support and it’s only available via an online form. The company should introduce other means for contacting customer support as other top Usenet providers offer. Company’s website has dedicated FAQ section which provides sufficient information about all common questions. Social Media accounts of Usenet.net are inactive since 2012. Usenet.net is one of the oldest Usenet providers who have a decent user base. The company offers good services but their pricing is not competitive. The basic package comes with no SSL connection and it cost around 14.99 USD and premium package with SSL Encryption will cost you 19.99 USD per month where our Best Usenet Providers can offer a better package with the High-Speed connection, VPN Service, a variety of payment options and High retention Period for half of the price. The company also doesn’t offer a variety of subscription plans. Overall, Usenet.net service is Decent however our list of Best Usenet Providers offer better deals so in most cases we would recommend choosing elsewhere.